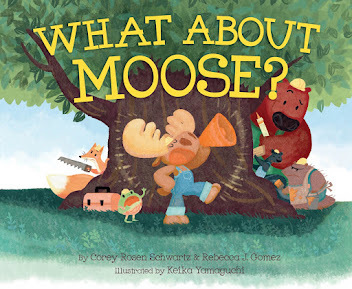 DIVA DELORES AND THE OPERA HOUSE MOUSE by Laura Sassi, and illustrated by Rebecca Gerlings, is an adorable rhyming story about a diva who learns to accept help graciously. 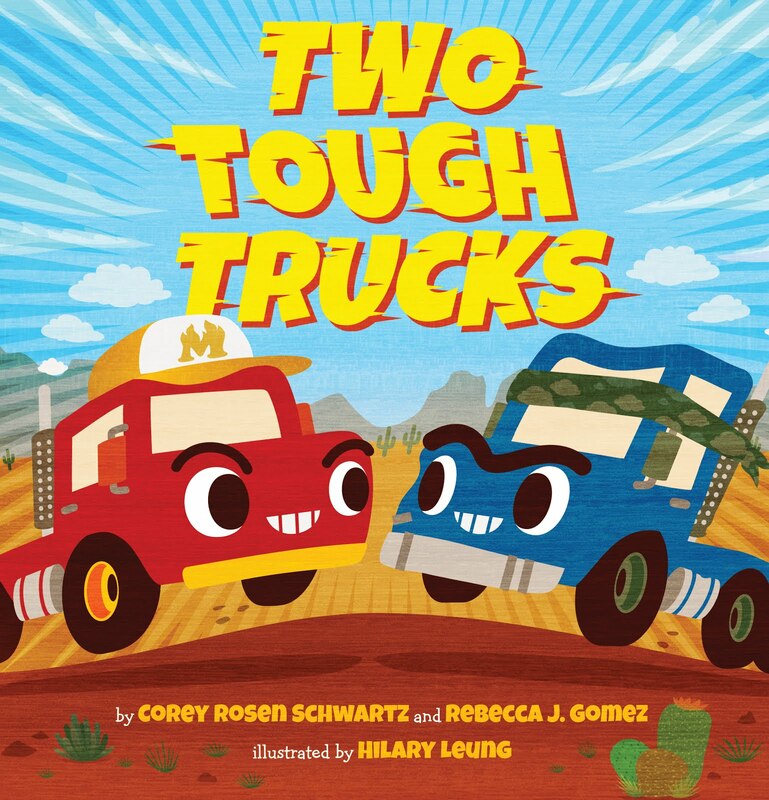 If you haven't read it yet, head out to your local library or book store and grab a copy! While you're out, stop at the craft store to get some feathers so you can make a fancy feathered fan with your kiddos. 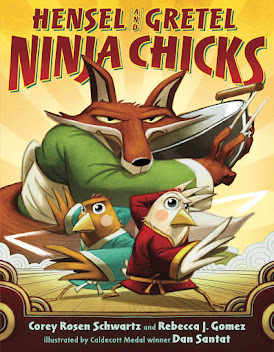 Unless you're like me and just happen to have some feathery fun stashed in the craft box! DISCUSS: What does it mean to be a diva? Does being a diva affect Delores's behavior in a negative or positive way? Have you ever acted like a "diva" before? 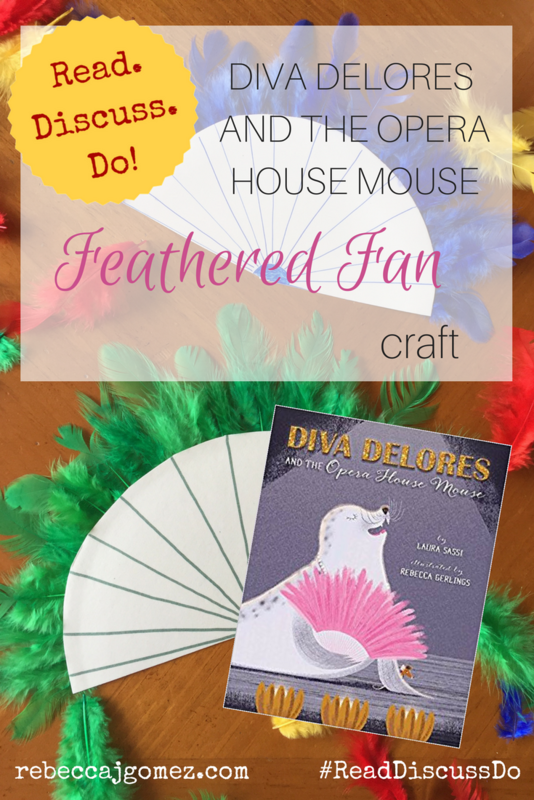 DO: Make a fan like the one Diva Delores uses in the book. Cut the paper plate in half, then cut the curved part of the plate off. You should have a nearly perfect half-circle that lays flat. Mark the center of the straight edge (use a ruler if you want to be precise). 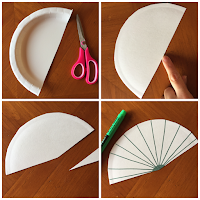 Cut at a slight angle from the center to the outer edge of the plate to create the fan shape. With a marker or crayon, draw a semi-circle at the edge where the point is. Color that in. Draw lines from the center to the outer edge of the fan, using a ruler if necessary to keep the lines straight. Flip the fan over. Run a generous line of glue near the curved edge. Glue the feathers on, being sure that the tops of the feathers stick far out past the edge of the plate. Let it dry and--voila!--you have feathered fan, perfect for any diva! 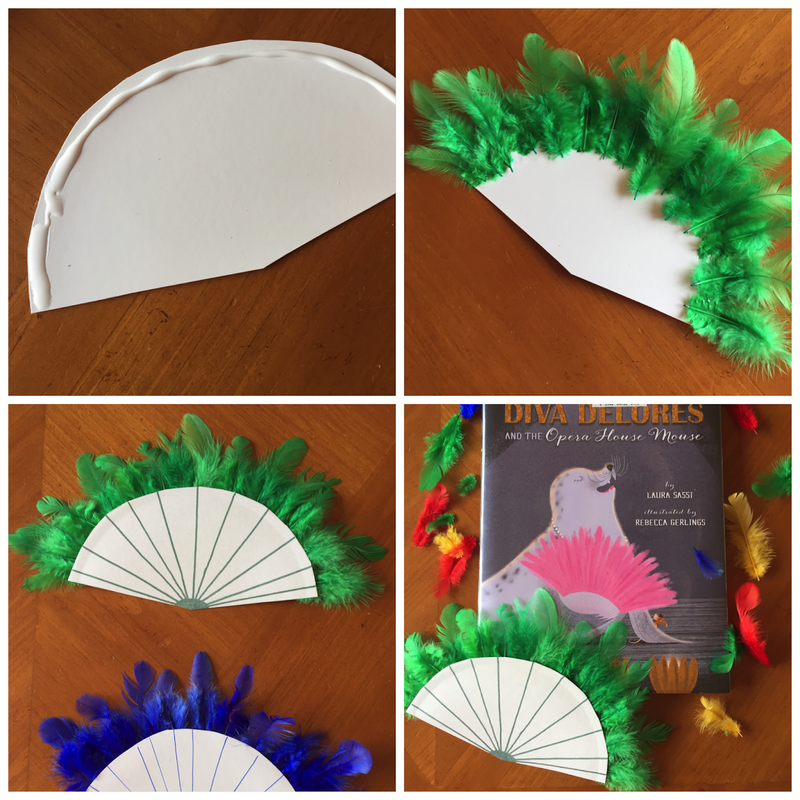 Use this fan to act out parts of the story, then save it in the dress-up box for a rainy day. Have fun!